I don’t even know where to begin in describing my experience in working with Katie (Belle Fitness & Nutrition). I must admit, at first, I was very unsure about how online coaching could benefit me. Sure, I knew I didn’t know everything, but I was hesitant about a completely online program. I’m here to tell you, if it can work for me, it can work for anyone! What I love most about the online program is that it didn’t necessarily tell me what I HAD to do, it provided me with a TON of information that allowed me to learn what works BEST for me. I could fit the program into my lifestyle. The program helped me to clarify my goals and get what I wanted out it. We’re all different and we all have different goals- it is not a cookie cutter program. Online coaching taught me daily habits that I could incorporate into my schedule and life. Beyond the program, what I loved most was Katie's support. I can’t even begin to describe how much her support has helped and pushed me through! Not only did I lose weight and inches, but more than that, I learned to love myself and my journey. She helped me to see that I could still enjoy my life and incorporate what I was learning into my every day. When I was feeling lost or off track, she supported me and was always there to ask how she could help. Her encouragement and feedback is what really changed me. Both the program and Katie have helped me make changes for the better and to see that this isn’t some fad diet, it truly is about enhancing and improving my lifestyle. If you’ve never considered online coaching or perhaps on the fence about what it’s all about- I encourage you to contact Katie and have a conversation. She truly cares about the lives of others, especially women, and I will never be able to thank her enough for all that’s given me. 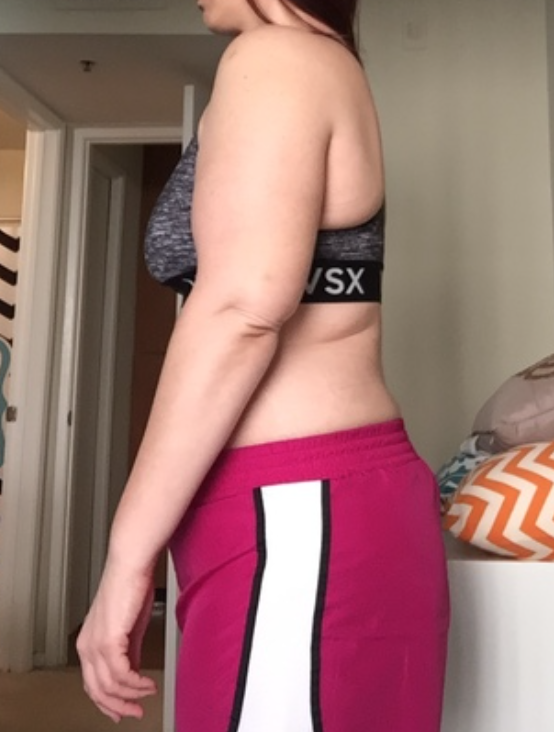 After I had my second baby, I was in need of some accountability and help with working out. However, finding time to go to the gym with two little ones at home was not going to be easy. Working with an online personal trainer was the perfect solution for me! Having a workout plan that is accessible whenever it fits into my schedule has been so great. The ability to ask questions and get feedback from a trainer has been even better! Due to some physical limitations, I needed some of the exercises modified. 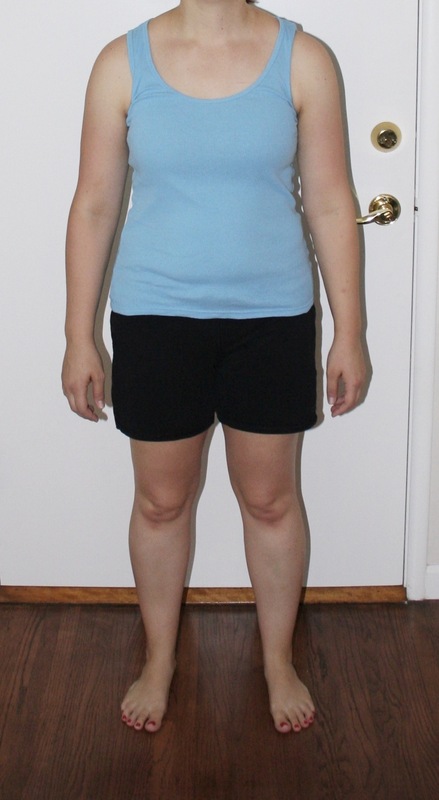 I am so thankful that Katie is a postnatal fitness specialist because she was able to help me with this easily. The nutrition lessons have taught me so much, and the fact that I did not have to count calories was huge! Usually, when I'm trying to get in shape, I jump in with both feet and try to restrict my eating. This is fine for a few weeks, but I quickly get tired of keeping track of calories. Completing a five-minute action each day and striving to do better than the day before has been a nice change and so much easier to maintain. Although the pace of the program seemed slow at the beginning, I quickly realized it was exactly what I needed to build good habits. I have really enjoyed working with Katie because she is so encouraging and helpful. She has answered all of my questions, helped keep me on track, and cheered for me along the way. I am thankful for the healthy habits I have developed through this program. Thank you, Katie, for helping me work towards my goals to feel stronger, healthier, and to have more energy to keep up with my kids! 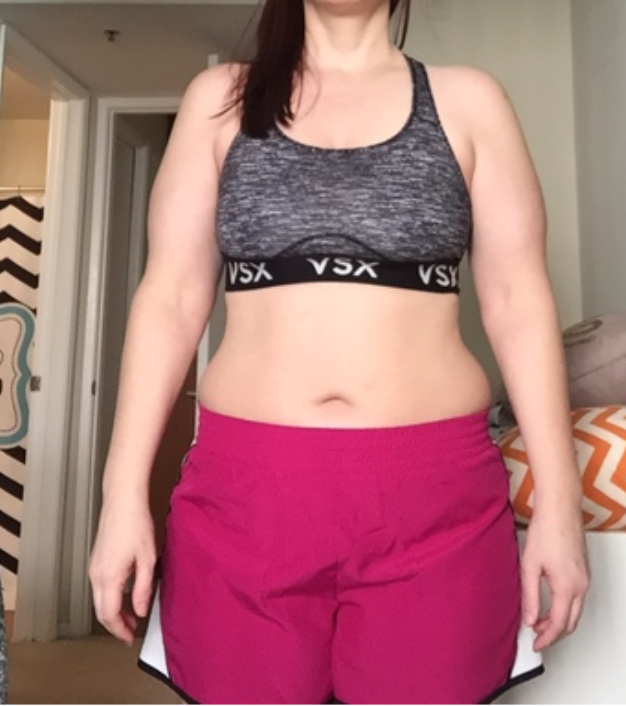 After I had my first baby, the weight came off quickly, and my body was back to its normal self fairly quickly, although I did hold on to an extra five pounds that wouldn't go away. Then I had my second baby, and things did not happen that way. I gave myself some time, but after months of sleep deprivation and work and two kids to run after, I didn't feel as healthy as I wanted to feel. 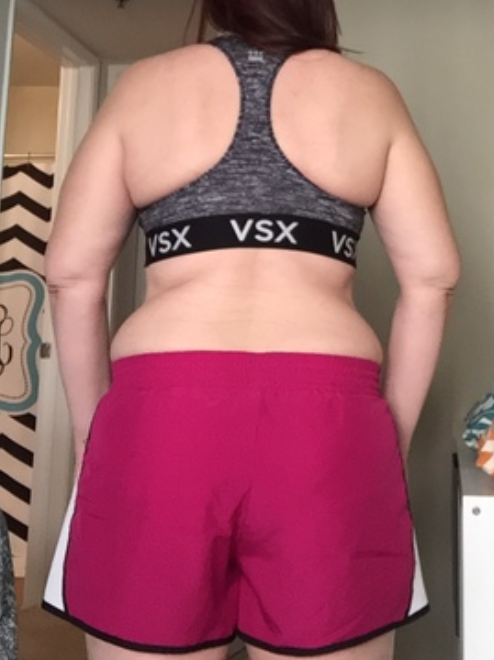 I had hit this plateau of eating the same way, and doing (or not doing) the same workouts, and something needed to change. I had never worked with a trainer of any kind before, so starting with Katie online felt safer to me than other options. I'm a fairly petite person, so losing five pounds has never been an easy feat for me. I was also only five months post-partum when I started, so having a routine was kind of a joke (my kids don't like to sleep). I was skeptical about what my results would be with an online program. I cannot believe how wrong I was. Katie worked with me to meet me where I was; she took into account that I was nursing a baby and gave me great workouts to do at home, she checked in on me even when I was particularly absent, and she put no negative pressure on me. Katie knows that we're all working with different thresholds and roadblocks, and she doesn't judge when you let one trip you up, she just helps you find the best way for you to get back on track. She especially understands women and how our bodies can take time to change after having babies. She emphasizes that the most important thing is that you feel strong and healthy so you can be your best, the numbers are secondary. The nutrition coaching has been amazing because it's really changed the way I view food, and did it in a way that felt manageable, even enjoyable. I have learned to make tiny choices that benefit my health and my journey, without feeling like I'm depriving myself. I never had a bad relationship with food, but now it's better than it's ever been. If you are in the same skeptical place I was, I highly recommend talking with Katie to see what her training is all about. She is so knowledgable, supportive, and kind, you will have a wonderful experience with her. I am so thankful for Katie coming into my life when she did, because of her I am stronger and more healthy than ever, and I know that I have the tools to be strong and healthy no matter what life throws my way.